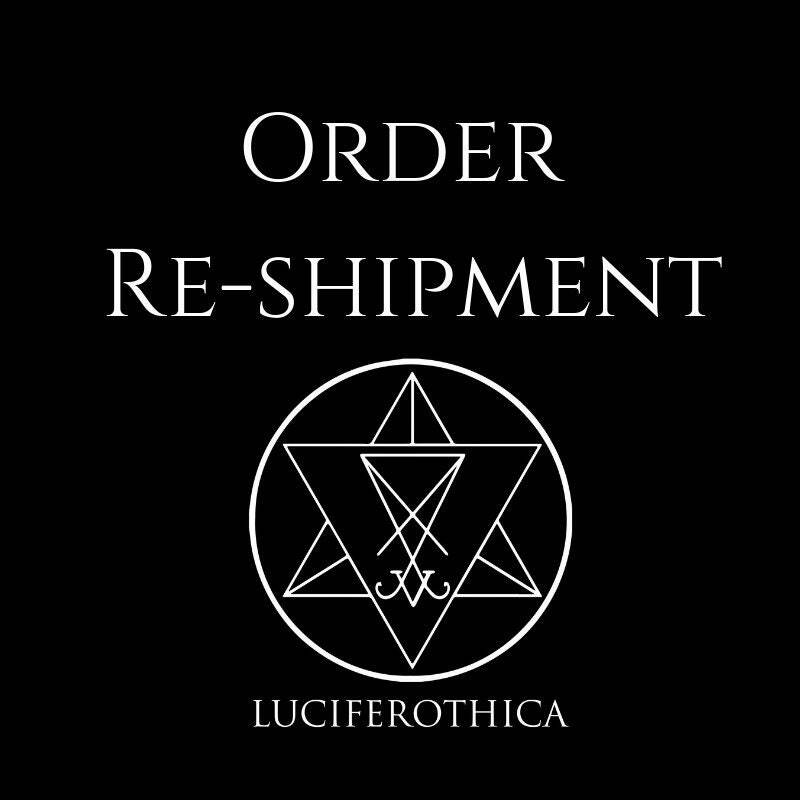 When your package returns to Luciferothica we offer a reshipment of the order. When orders return due following reasons, the customer has to pay the original shipment fee once more to receive their package. - When the package is unclaimed by the customer and is send back to Luciferothica. - When the provided adress is not the correct one and the package is send back to Luciferothica. When a mistake is made from our end and the order gets returned to us, the order will be reshipped to the customer free of charge. Everything can be found at our shop-policy and disclaimers.